AT&T recently added the Brazilian Entertainment channel package to DIRECTV NOW. 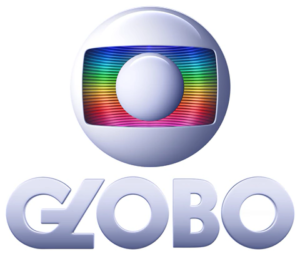 Available since Tuesday, this international package offers PFC and TV Globo channels for $25 per month. This package used to only be available on DIRECTV’s satellite TV service. Now that it’s come to DIRECTV NOW, some streaming services pundits are wondering if other international packages are headed to DIRECTV NOW. Spanish Packages: DIRECTV offers four separate Spanish-language packages – EN ESPAÑOL, MÉXICO PLUS, AMÉRICAS PLUS, and MÁS MOVIES. Each delivers a unique blend of entertainment, news, and sports from countries that include Mexico, Puerto Rico, and the Dominican Republic. MandarinDirect III: This delivers Mandarin-language entertainment from channels in China, Taiwan, and Hong Kong. Filipino TV: Offers channels and programming from the Philippines, including many channels not available anywhere else. Korean TV: DIRECTV offers the KoreanDirect and its KoreanDirect™ Golf packages. Russian Entertainment: Subscribers have the choice of three Russian TV packages. VietDirect Plus: This offers a variety of entertainment programming from Vietnam. Although I can’t tell for certain, these international niche programming packages sound like they will be successful. We live in a global village with people pulling up stakes and moving all over the world. There are plenty of people right here in the U.S. who might miss the TV programming from their countries of origin. If these people stream, options such as this and other international packages bring them a little taste of home to enjoy. For anyone far from home, these packages deliver amazing value. Because of this, I have to go back on something I’ve said about niche streaming services. I’ve stated that these streaming options will be successful if the monthly cost at or below $10. In the case of international programming, I believe that a $20-$25/month price tag will be justified. People will likely only add one package, and it likely will get the lion’s share of their viewing. All of this hinges on whether these options will come to DIRECTV NOW. We’ll keep you updated if and when they do. DIRECTV for Senior Living facilities? You bet!